Same old barn, three different views, and three different shades of light. *It's three for the price of one." Wow, I'm not sure what holds that barn up. Lovely captures! Love the light and the colors, but that barn is hopeless! God Bless all the old barns. It breaks my heart to see them go down in disrepair. They have such stories to tell of hopes and dreams. Fair pics are up, girls are in their second day of school, and I am enjoying my first morning to myself in a very long time. It's good to be back! 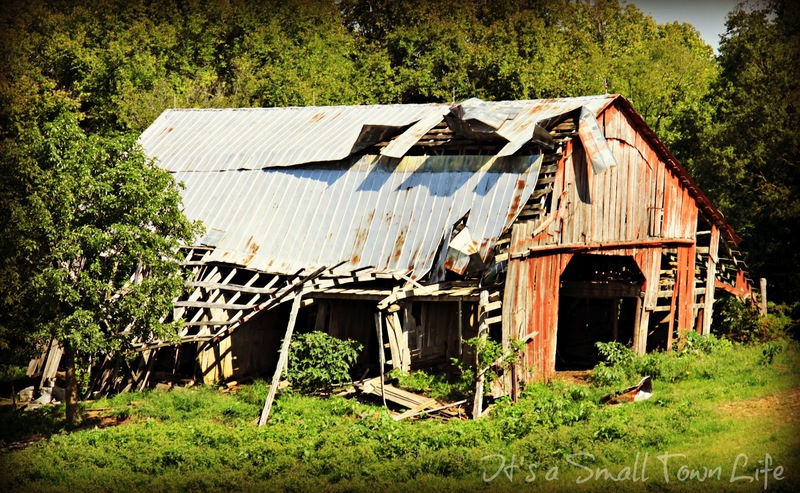 Great shots of that tumbledown barn! I love old, red barns. I'm sure this was a handsome one back in its day. Well, at least it's a good home for crows, owls and such. Looks like home. You'll have to revisit that next year and see if it's still standing. Put on your hard hat, better yet, stay clear. That barn looks like it has a lot of history. Great post Michelle. 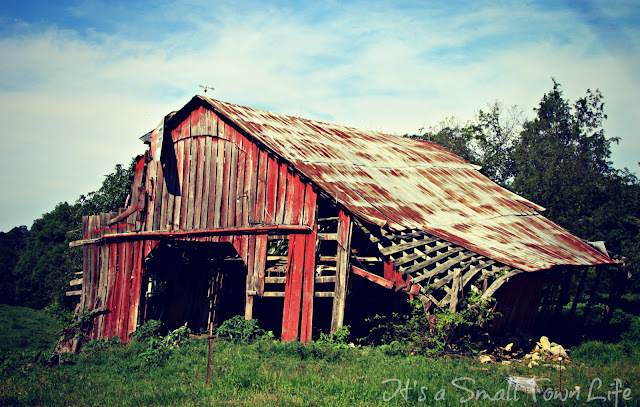 This old barn has so much character! I think I drove past that place this morning... It didn't look nearly that pretty tho. 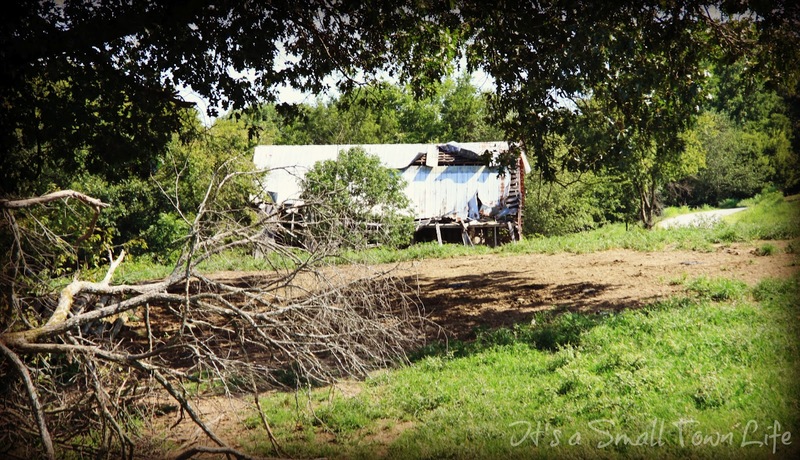 A crash course in barns? Oh, how sad to see the barn in disrepair! It holds such memories for someone. I adore old barns...especially north American ones..... I would love to own one in this country a BIG red one!!!! Too bad they let them go. There is just no explanation for why that poor barn is still standing! All it takes is one butterfly flapping its wings in central America for that thing to come crashing down. Looks like a wind came up and tore away that roofing at some point! Really striking pictures. It's fascinating how a crumbling structure can be so beautiful. Nice shots but I hate to see old barns let go.